There’s a growing array of exciting new products to meet those specialized needs. The newest addition is the Motorized Closet Lift from Häfele. This beautiful and functional product was recently featured on the nationally syndicated George to the Rescue show as the closet solution of choice for a young man in a wheelchair. It’s also an excellent solution for extremely high ceiling heights or for living in place needs, whether related to age, sports injuries or other range of mobility challenges. 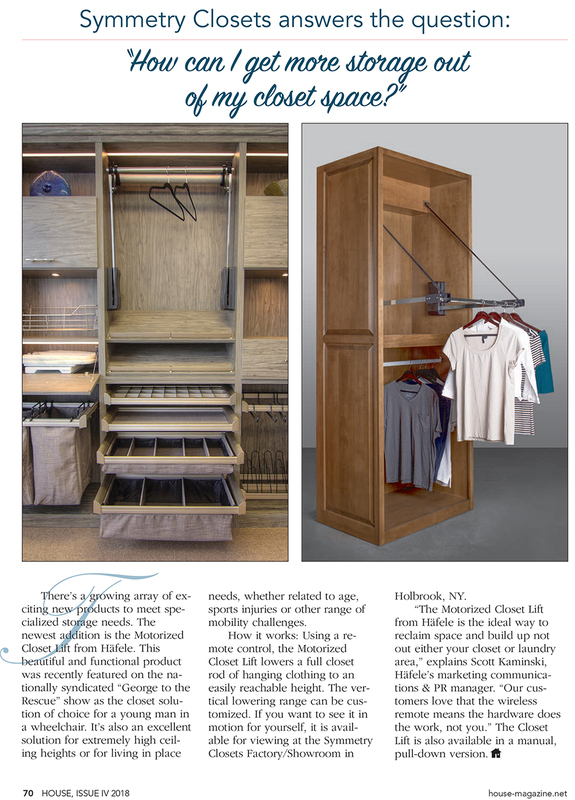 How it works: Using a remote control, the Motorized Closet Lift lowers a full closet rod of hanging clothing to an easily reachable height; the vertical lowering range can be customized. If you want to see it in motion for yourself, it’s locally installed and available for viewing at the Symmetry Closets Factory/Showroom in Holbrook, NY. 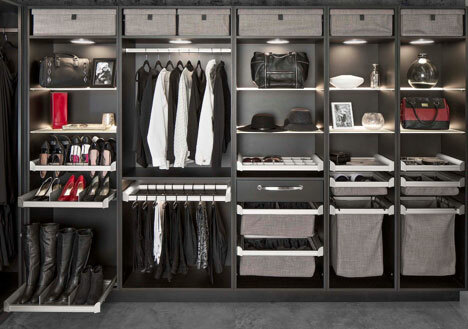 “The Motorized Closet Life from Häfele is the ideal way to reclaim space and build either your closet or laundry area up, not out,” explains Scott Kaminski, Häfele’s Marketing Communications & PR Manager. “Our customers love that the wireless remote means the hardware does the work, not you.” The Closet Lift is also available in a manual, pull-down version. The closet has changed. 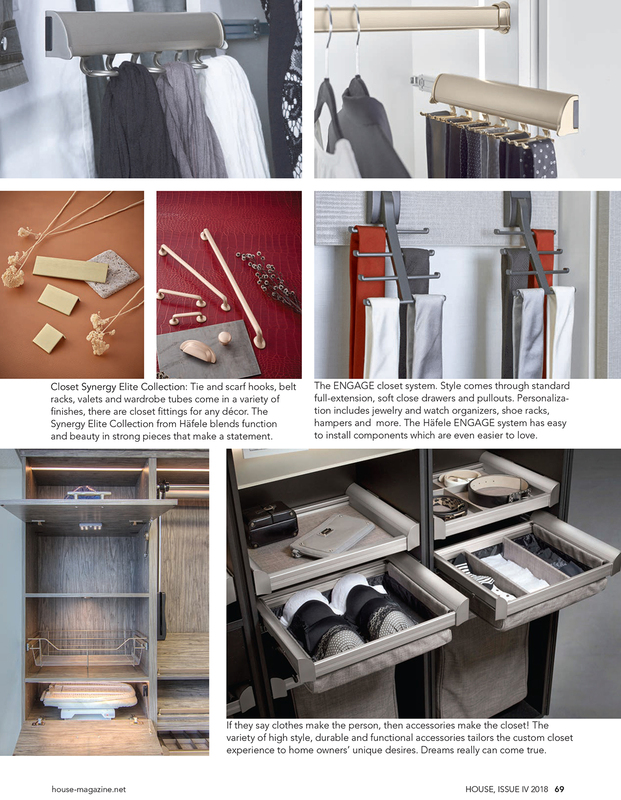 Long gone are the days when outfitting a custom closet was a simple choice between polished chrome or brass closet rods and then some fancy decorative hardware. Nowadays, we have a lot more stuff, as well as a lot more real estate devoted to our closet areas. Dream closets complete with in-drawer electrical outlets, lighted or color-coordinated wardrobe tubes, built-in USB ports for thirsty devices and integrated, pull-out ironing boards are just the beginning. 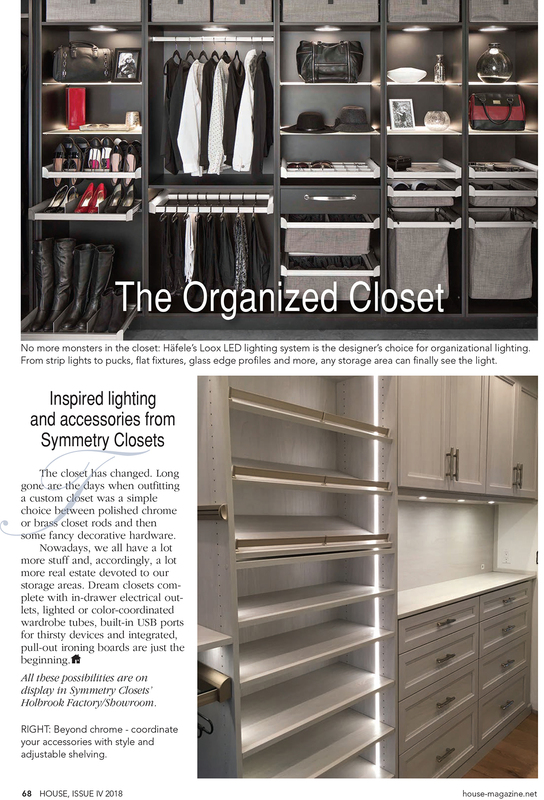 https://symmetryclosets.com/wp-content/uploads/2019/02/jan-blog.jpg 329 468 admin https://symmetryclosets.com/wp-content/uploads/2019/01/Updated-Symmetry-Logo_010719-300x128.jpg admin2019-01-05 19:31:412019-04-17 20:57:37Symmetry talks about Inspired lighting, accessories and so much more in this months House Magazine.